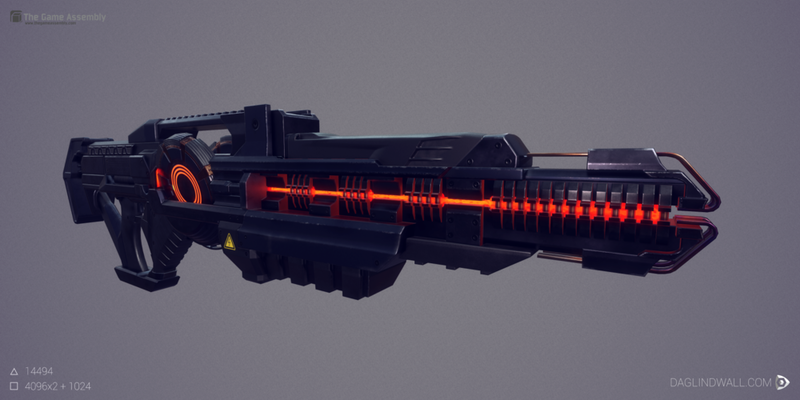 I made this as the main weapon for the FPS student project I took part in at The Game Assembly. 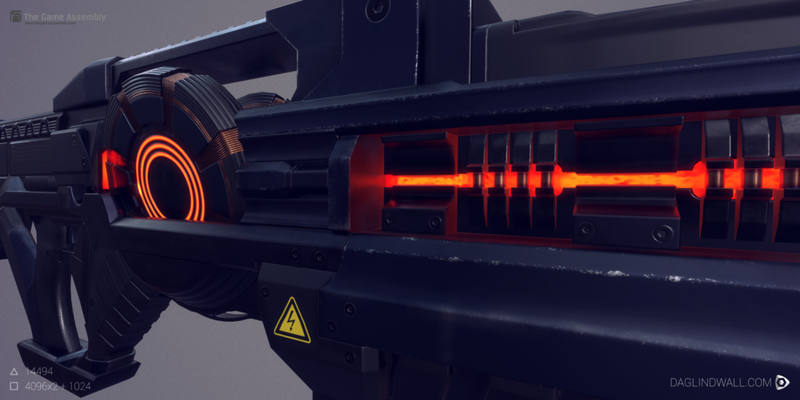 The in-game model uses 2K textures but I made the textures in 4K for presentation purposes. 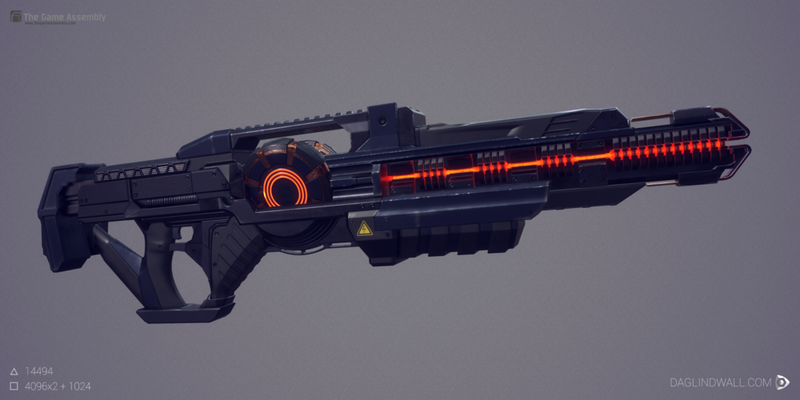 High and low poly were made in Maya and textured in Substance Painter 2. 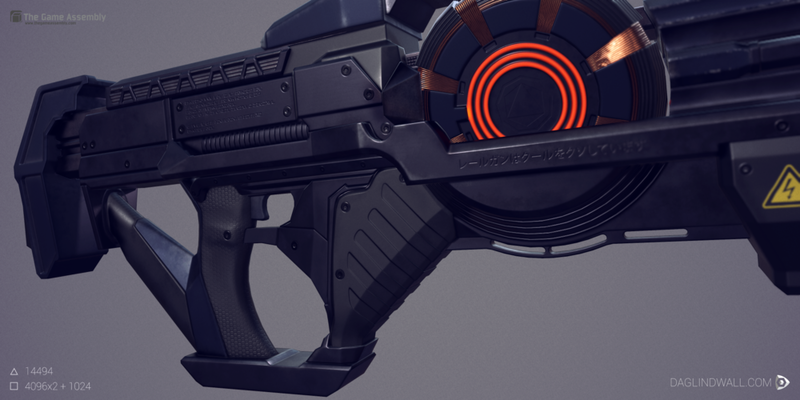 Bakes were all done in Substance Painter 2 except for a light map for the emissive I baked in Maya.